In a world where everything seems to make some noise, silence is a very precious luxury. This is why we’ve seen a recent explosion of various new maker and models of noise cancelling headphones on the market. These headphones used to be a smart choice for those who travel by plane or public transportation, but nowadays you can use them in various situations where you simply want to be cut off from the daily grind and enjoy the silence. Usually, headphones with active noise cancellation aren’t cheap, but like all technology products they’re getting more and more affordable. I’ve managed to gather some of the best active noise cancelling headphones for your non-listening pleasure. These will provide you with the sweetest silence, they will look good in doing so, and they are also very comfortable to wear even for many hours continuously at a time. What’s more, they all feature active noise cancellation and Bluetooth connectivity. Let’s start off with probably the hottest-selling noise cancelling cans. The COWIN E7 offers great value for the money as they really do offer decent noise cancellation coupled with a fairly good sound quality for all your precious playlists. These may not break any new ground where design and visual appeal is concerned, but they are quite comfortable, even when worn for a couple of hours continuously. Those who care about image will highly appreciate the fact that there are five different color options to choose from - black, white, red, blue, and violet. The E7 comes with a hefty battery which can provide you with 30 hours of noise-cancelled listening pleasure between charges. Also, they come with a built-in microphone so you can make phone calls without taking them off. These wireless noise cancelling headphones from COWIN also come with a convenient carrying case. Over here we have yet another somewhat unique take on the noise cancellation challenge. The Avantree ANCS031 headphones can be used wired or wireless. Once you open the packaging you’ll find your set of precious noise cancelling headphones, a zippered carrying case, a USB cable for charging, and an AUX audio cable. When you’re using the cans wirelessly, they’ll run on battery, but once you connect the cable you won’t be draining the battery. Note that when you connect the cable and used them as wired headphones, the volume control and built-in microphone for making calls will be disabled. The active noise cancellation system is very efficient, especially on low frequencies. The battery gives you up to 28 hours of playback time between charges. They also come with a no lip-sync delay function which is great for passionate gamers. These are probably my favorite of this bunch of the noise cancelling headphones. First of all, the Paww Wavesound 3 looks and feels very well built, without the cheap feel of plastic. They are also very comfortable for those long flights. Specifically designed for those who spend quite a lot of time on an airplane, the Wavesound 3 headphones feature an airplane adapter so you can easily hook them up to the viewing system on the plane. The active noise cancelling circuitry works extremely well, and I had no issues with it whatsoever. It simply does what it’s supposed to do without any fuss, and the sound quality coming out of the diaphragms is above average. You can’t really expect any miracles at this price range, but you will be pleasantly surprised. The cans are wireless, and you will find on them controls for music playback, noise cancellation system switch and LED indicator, and another indicator for Bluetooth connection. The headphones are conveniently foldable and come with a carrying case. You can also choose between black and white color options. 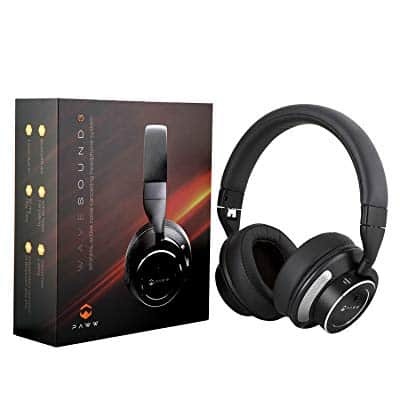 These are another set of over-ear noise cancelling headphones, designed with dual drivers with very powerful reproduction of low bass frequencies. 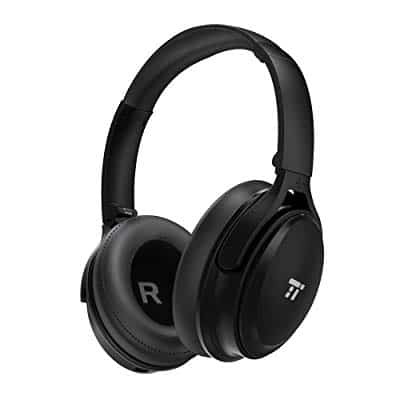 Coming with adjustable fit and swiveling cups, the TaoTronics TT-BH22 is among the most comfortable noise cancelling headphones in this price range. You can switch the active noise cancellation off to save battery. Speaking of which, the battery life is very generous as it can provide you with up to 25 hours of continuous listening pleasure, depending on the volume you like to listen your music at. Included in the package is a USB charging cable and 3.5mm AUX audio cable, so you can use these headphones wired or wirelessly via Bluetooth. There is also a neat carrying case included. 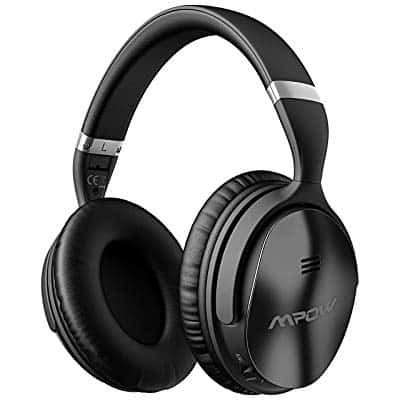 For those of you who need to stay fashionable at all times, I must say that the Mpow H5 is probably the best-looking noise cancelling headphones out of the bunch I’ve prepared for you here. Even though they only come in black finish, they are sleek and well-designed with all the right curves to appeal to most people. Once you pop open the package, you will be greeted by the sculpted headphones, a convenient carrying bag, a USB charging cable, and a 3.5mm AUX audio cable. The headphones utilize 40mm drivers which blow some rather nice low frequencies, while the active noise cancelling system effectively isolates all the environment sounds with the exception of human voice. Current active noise cancellation technology is reactive, so it can only cancels out monotonous noises. This is true of all headphones on this list, not just the Mpow. The noise cancellation circuitry generates sound frequencies of inverse amplitude to cancel out environment noises. Battery life isn’t something to write home about, as it’s only rated up to 18 hours of continuous performance. 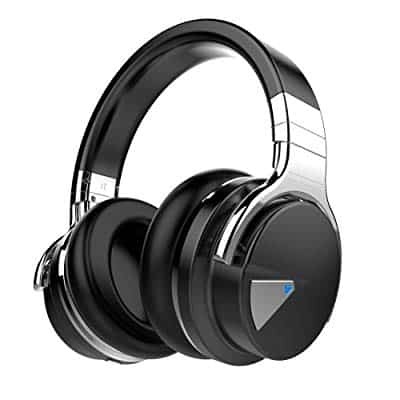 The noise cancellation system can be turned off to some battery. Last but not the least, the CB3 Hush headphones put as much emphasis on sound quality as active noise cancellation. The sound out of the 40mm drivers is clear and extended. When it comes to noise cancelling, these babies really do pack quite a punch. You can listen to your favorite playlists or the latest podcast at a fairly moderate volume without any interference from the outside world. 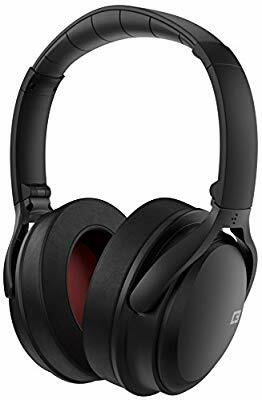 They also quite comfortable and as such they are perfect for those long flights when you’re bored and simply can’t survive without a pair of good headphones. As is the case with most products from this price range, they come with a convenient carrying case, a USB charging cable, and an AUX audio cable. 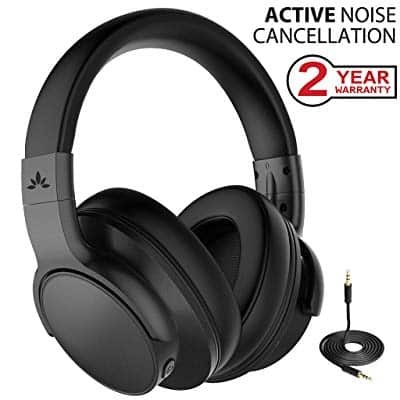 Overall, these are definitely worth checking out and deserve their place among the best noise cancelling headphones under 100 bucks. In order to purchase a set of noise cancelling headphones that work well for you, it is wise to take some time to get acquainted with the concept. First of all, when you say noise cancelling headphones, you don’t really think that they cancel the noise out by means of plush cushioning and or heavily insulated earcups? 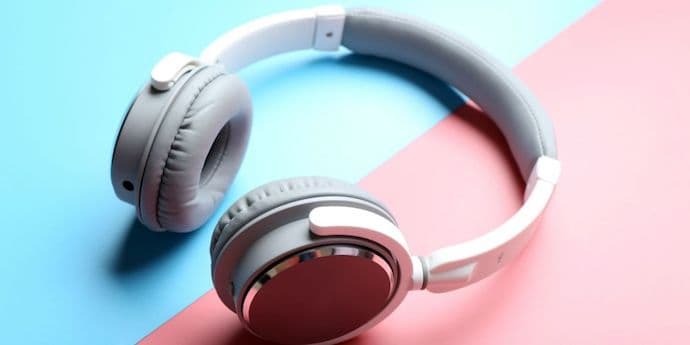 That’s called passive noise cancellation and it’s a thing of the long gone past, as modern noise cancelling headphones rely on active noise cancellation to deal with unwanted noise. The noise cancellation circuitry inside the headphones cancels out all the sounds that surround you by cleverly emitting sound waves that are out of phase but at the same amplitude. By doing so, the generated sound waves cancel out background noises and you get your precious silence or music that’s very clear even at low volume. This is why noise cancelling headphones are also great at saving your eardrums. It all started with the Bose company, way back in 1978. Nowadays, Bose makes some of the best noise cancelling headphones on the market, but you should definitely check a few guidelines to determine what kind of noise isolating headphones you actually need. To some, this will be very important. If you’re very old school you probably won’t have any problems with wired noise cancelling headphones, but wireless ones will provide you with much more freedom of movement. The wire simply gets in your way, and once you try wireless Bluetooth headphones, you will probably never go back to the wired ones. Obviously, wireless ones are commonly more expensive. Yes, wireless noise cancelling headphones are a great thing, but they need batteries so they do have this flaw of having to be recharged every now and then. If you plan on traveling a lot, this can be an issue, so you’ll have to plan your recharging sessions quite carefully. 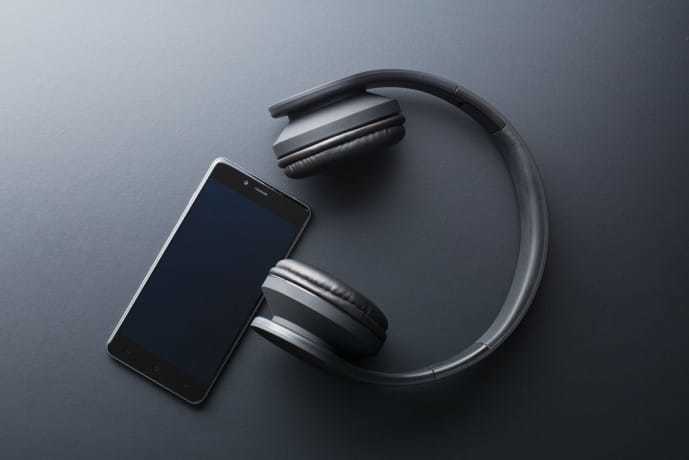 In most cases you will have approximately 25 hours of noise cancelling pleasure from your headphones, while some models even let you turn off the noise cancellation circuitry to save battery. No matter how well designed they are or how amazingly they perform, a pair of headphones is only as good as the amount of comfort while they’re on your head. There are quite a few over-ear models which will provide you with a plush feel, so they can be worn for longer periods of time, but they are also somewhat big and bulky on your head. Those who spend a lot of time commuting probably will not like this, so they will opt for some of the earbud models available on the market. These are much smaller, portable, and convenient, and, if chosen wisely, will provide you with quite a powerful noise cancellation experience. 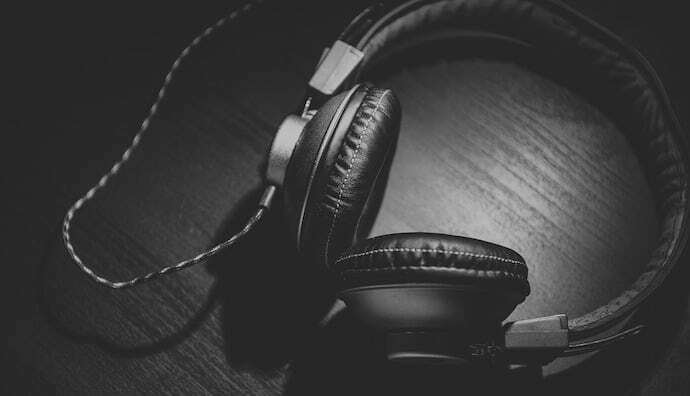 Even though you’re probably thinking that noise cancelling headphones are one of the coolest inventions, you’re going to be amazed when you read this. Recent models also feature several ways of adapting their performance to the current surroundings and all the sounds coming from there. How cool is that? These headphones will adjust according to the levels of sounds around you but also according to the altitude if you’re on a plane, so that your playlist stays at the exact same level. Also, if you sometimes still need to return to reality and hear something from the outside world, you may opt for several models which provide you with this fast and easy access to that. Some headphones will instantly recognize when you remove the ear cups from your ears and automatically pause the music. Another very cool feature, right? Some other models just need to be tapped twice lightly to instantly let you hear all the sounds from the environment that surrounds you. There are quite a few people who rely heavily on Google Assistant, which is no wonder, as it is quite frankly a very useful tool. Some models offer integration with such services and make lives much easier. Whatever models you decide upon, I strongly suggest giving them a proper test drive. 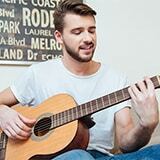 If possible, take them somewhere noisy and play some tunes that you’re familiar with. The ones that sound best and provide you with the most suitable set of features win the match. Always choose the ones which provide you with the most comfortable experience, as you’re about to wear them for prolonged periods of time. The best way to test drive is probably to buy them from an online store that has a generous return policy. Now that you’re well acquainted with the best noise cancelling headphones under $100, get out there and treat your ears to the utmost comfort and silence.